With Juan Antonio Bayona leaving the World War Z sequel to helm Jurassic World 2, Brad Pitt’s Plan B, Paramount Pictures and Skydance Productions are now in talks with David Fincher to take the director’s chair! 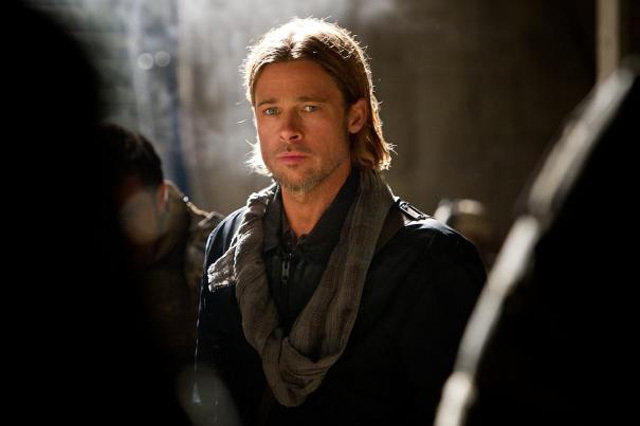 Variety reports that Pitt, who is returning to star in and produce, is expected to start filming the World War Z sequel in early 2017. Fincher and Pitt have previously worked together on Se7en, Fight Club and The Curious Case of Benjamin Button. Fincher’s last feature film was Gone Girl in 2014. The World War Z follow-up was previously scheduled to open on June 9, 2017, but Paramount is expected to delay the film’s release. Despite production problems and an expensive reshoot of the third act, the first World War Z was a big hit worldwide with $540 million. The film, based on Max Brooks’ novel, was directed by Marc Forster on a $190 million budget. The sequel is being produced by Pitt, Dede Gardner, Jeremy Kleiner, Ian Bryce and Skydance’s David Ellison.